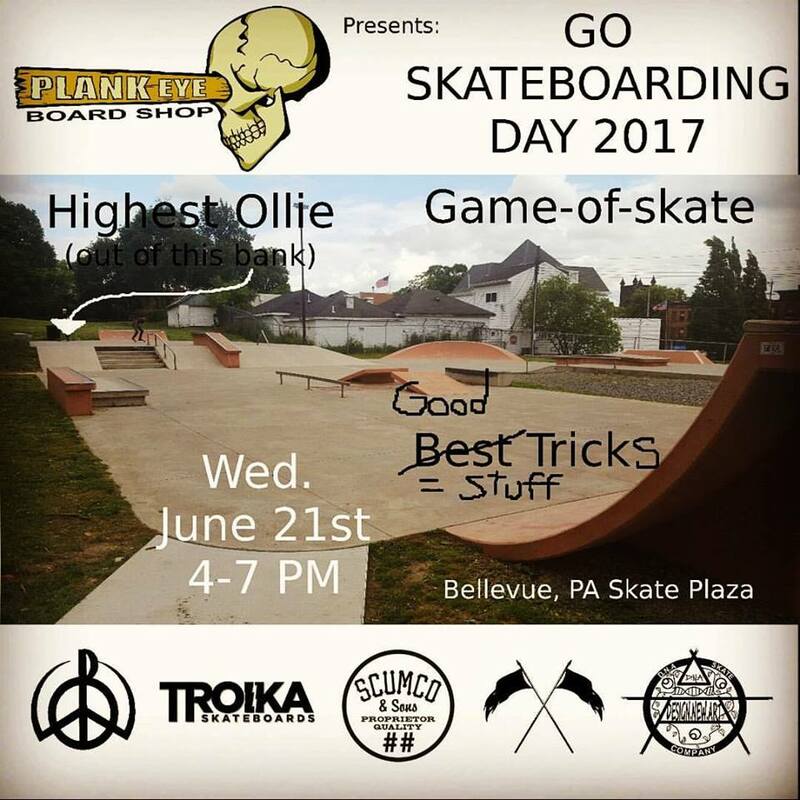 Plank Eye Board Shop is hosting a Go Skate Day event at the skate plaza. Wed., June 21st 4-7 pm. Come skate!